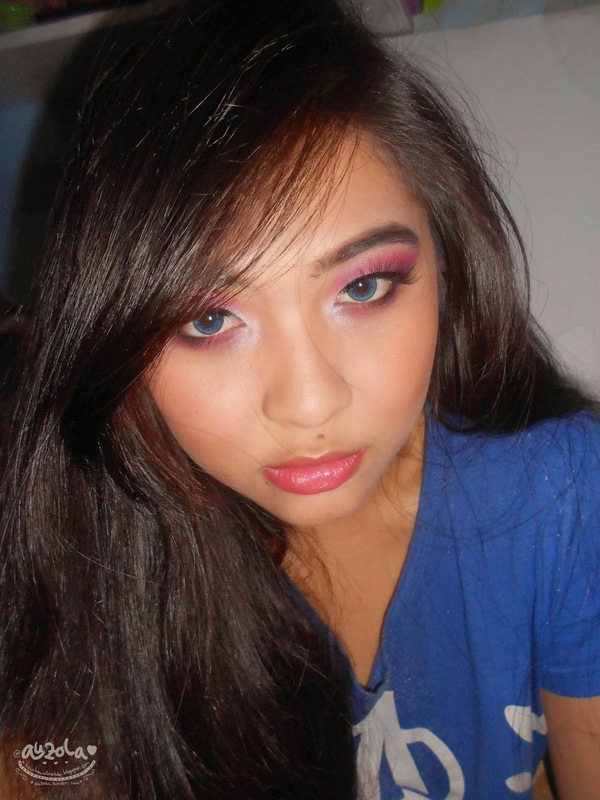 Im back with an EOTD! It was from two weeks ago, but i forgot to post it on blog. Anyway the theme was pink as an awareness of breast cancer. 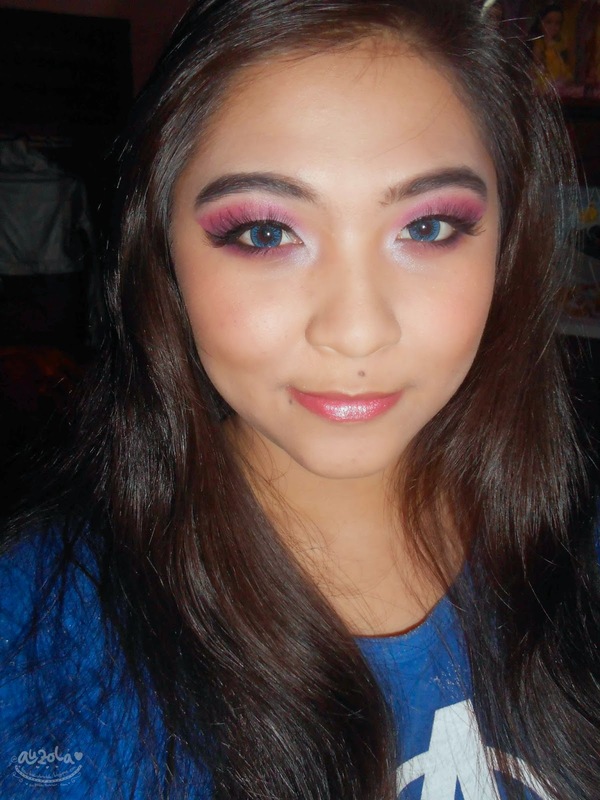 Plus i also got the simple tutorial for this EOTD (which happen to be perfectly nice for Elsa's eye makeup as well)! 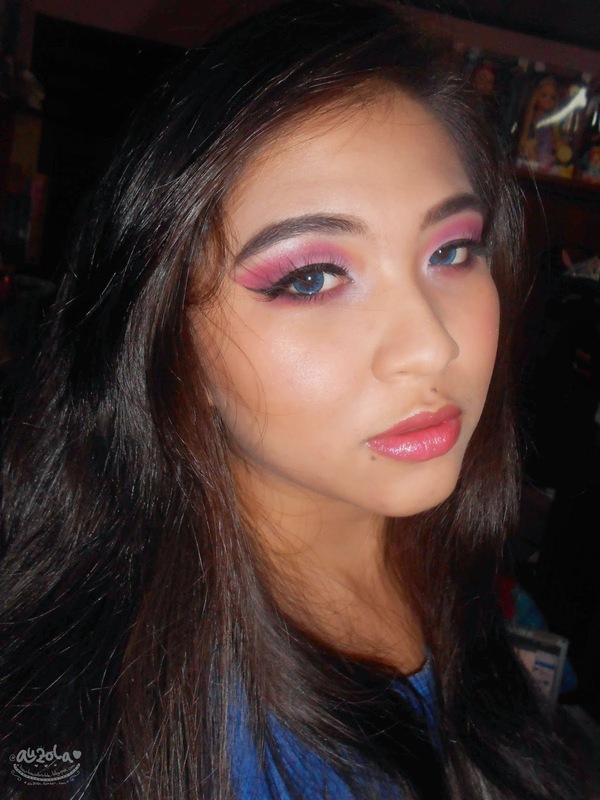 Well, as you can see, i mix pink and purple to get this eye makeup, thats why i told you it might be nice for Elsa's eye makeup as well! Say no more, let's check on my tutorial! 1. 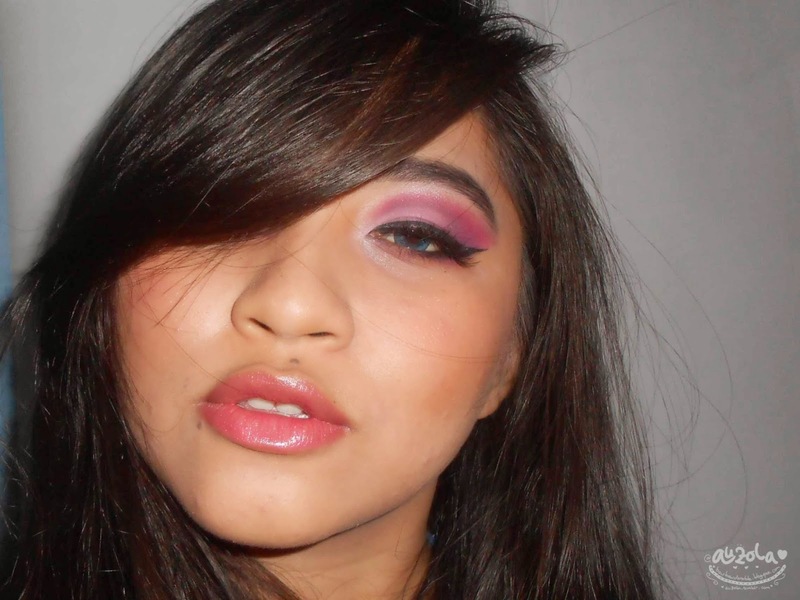 Prime your eyelid and add pink on your crease. 2. 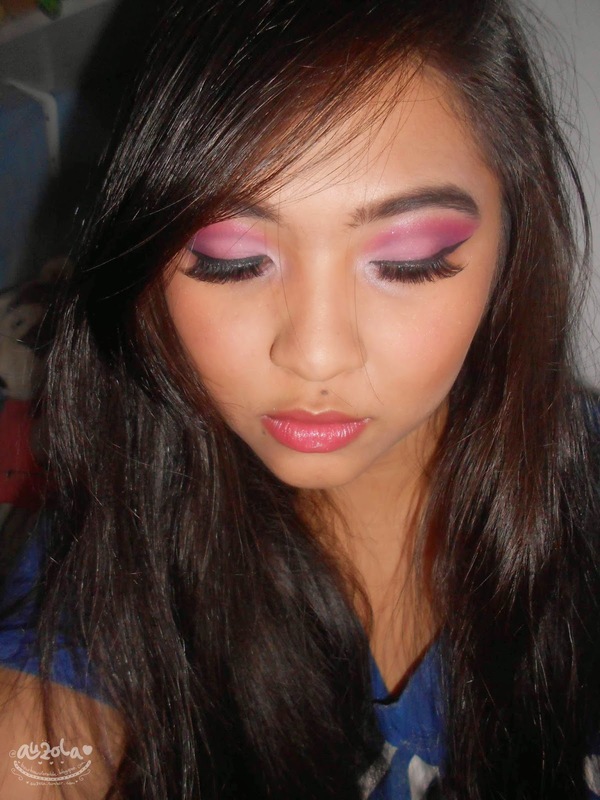 Add purple on your outer v and blend it toward the pink . 3. Apply white on your eyelid. 4. Add light pink above the white you just apply and blend it a bit with purple. 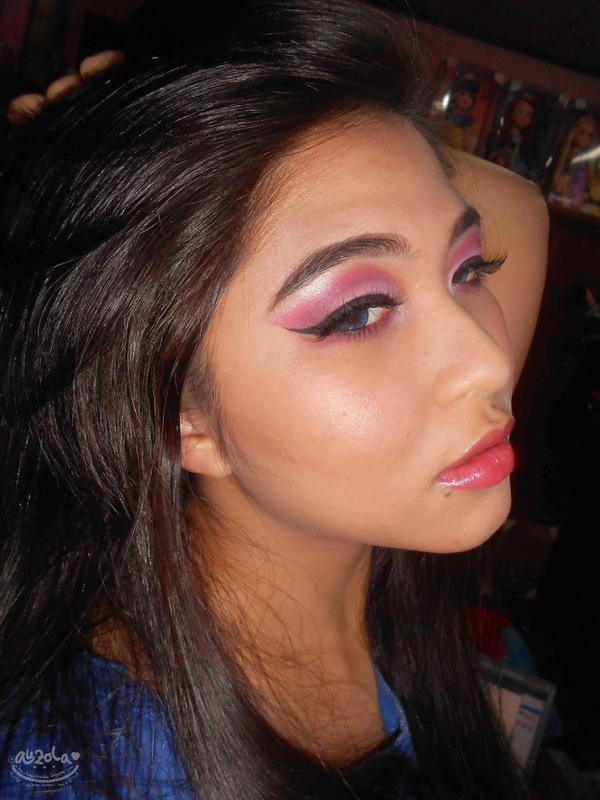 Then make a little line on your crease with purple just below the pink color. 5. Apply black eyeliner and winged it. 6. 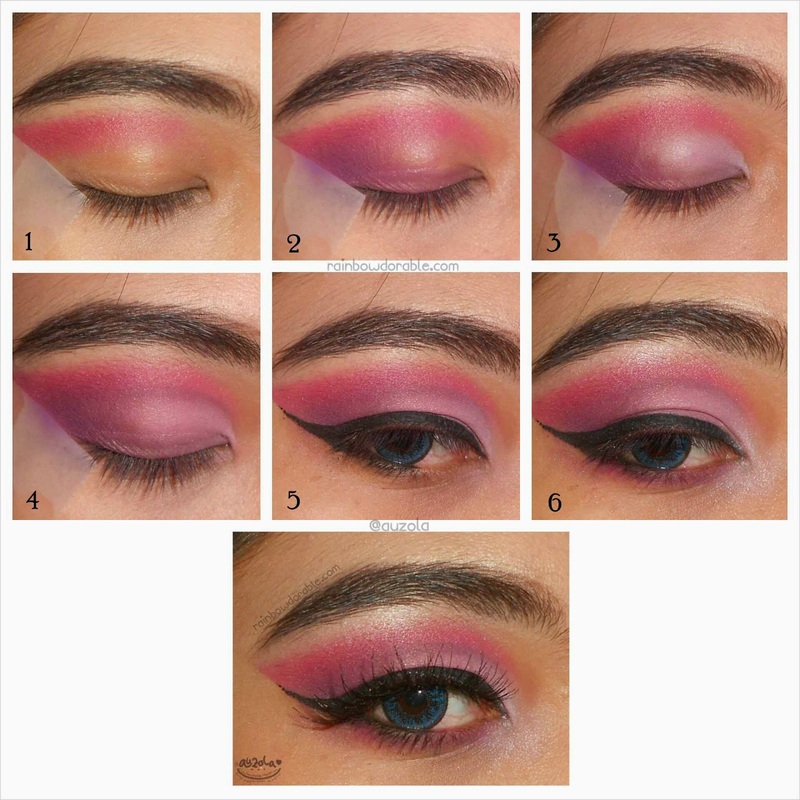 Add a bit of black eyeliner just on half of your waterline, then add dark pink on the lash line and blend it with light pink on the inner corner of your eyes. 7. Apply mascara and false lashes and you're done! Quite easy right? Well the reasons i put on white before the light pink is to make the pink color more pop up. As for the lower waterline, i only draw half of it with black eyeliner because if i fill all of my lower waterline with black, it gonna make my eyes appear smaller. I hope you enjoy and find this brief eye makeup post useful! See you on my next post!